Help support the comic here! You can see comics posted early, extra drawings, extra comics, and all sorts of giraffe doodles! So it begins. 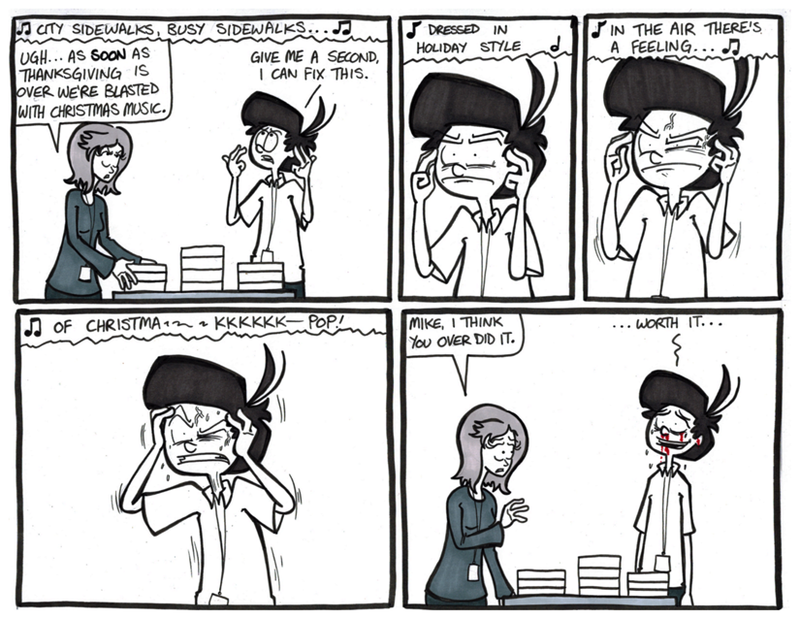 It’s no secret that I have no love for holiday music. It pains my very soul. Too many people singing the same seven songs for about six hours every day. …and then it loops. Over and over and over again. Frank Sinatra is featured heavily. It is the worst time of the year for music. If I did have some sort of psychokinesis powers you bet I’d waste them on doing things to make MY life better.